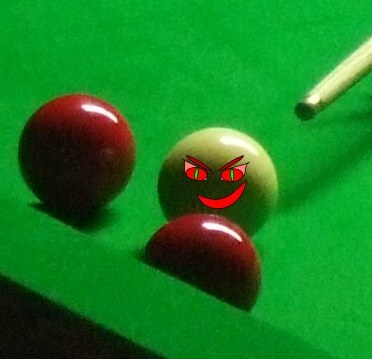 Guest article on limiting beliefs based on stress reversals and how they can cause problems in the game of Snooker. These include the dreaded kick and players attitudes to the game especially as they get older. "The kick is a plague in the game." "Snooker is the cruelest of games." "The kick is the enemy." Now there are two ways in which we can view those statements. The first is to say, "He's so right ... I feel the same way about the kick, I hate it too." The second is to say, "This is a limiting belief, created by many trauma events when kicks did happen, which now causes stress disturbances in the mental game of snooker. We need to get rid of this limiting belief and as soon as possible." When a snooker player experiences a kick happening in real time, they immediately recognise it - it is a physical sensation shooting through the body that is much the same as someone who is afraid of spiders will feel when they see a spider unexpectedly dropping down from the ceiling. This is the process of trauma formation and we then say that a person has been traumatized by the experience. Or we would say that the person has become phobic of that which caused the physical sensation - the spider, or the kick. Now, the trouble with phobias is that they cause a lot of stress as the spider phobic is constantly afraid of that nasty sensation of meeting a spider happens again; and a snooker player gets stressed at the possibility of a kick occurring. How do we treat a kick phobia? 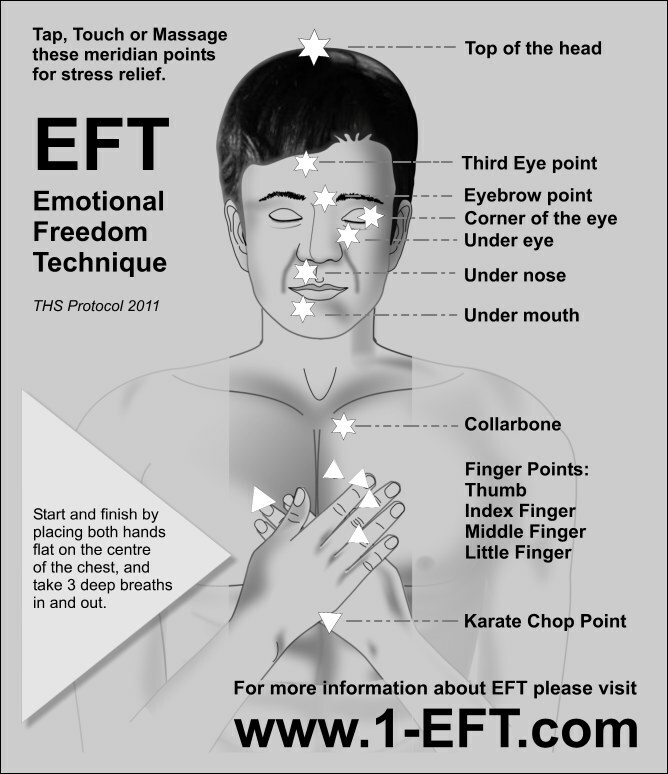 There are many convoluted forms of talking therapy but a short cut to curing a kick phobia and thereby releasing a lot of stress from players who are afraid of being tripped up by a kick (just as they're about to feel safe and settle into their rhythm of playing, or when it matters most) is to apply EFT Emotional Freedom Techniques. 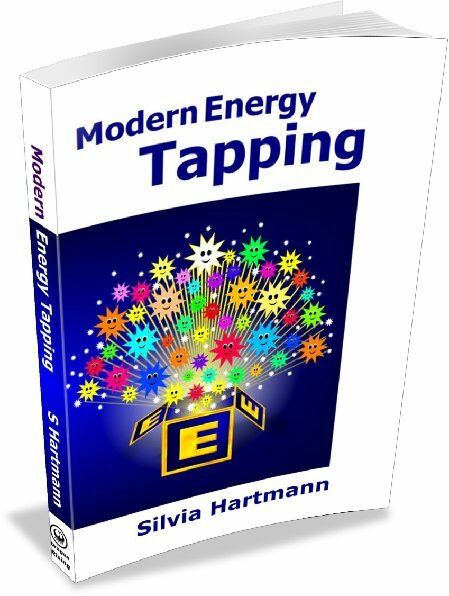 This is a simple self help technique which works to release stress by tapping on major body meridian points whilst making the statements which cause the stress at the same time. On a scale of -10 (completely true) to 0 (neither true nor false) to +10 (completely false), how much do you believe that? Start by placing both hands in the centre of the chest and take three deep breaths in and out. Now, simply tap, hold or massage the EFT points through the sequence, taking a deep breath in and out on each point, whilst saying the statement, "Snooker is the cruelest of games," (or any limiting belief statement) on each point. 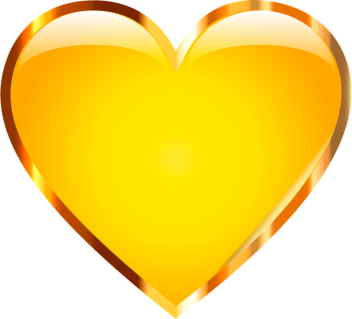 Place both hands in the centre of the chest and take 3 deep breaths, in and out. Now consider the statement again and take a new reading. How has the number changed? How have your thoughts changed about the statement that "snooker is the cruelest of games?" And most importantly, how have your feelings changed? Now we can do an EFT treatment on "the kick" in the same way, using the statements the person themselves said, one per round of EFT. This is very stress relieving but more particularly, it is specifically stress relieving on the topic of the kick. This is a simple self help technique to start dealing with negative beliefs in a direct and straightforward fashion and it has many uses. Amongst those is that we learn to start to spot our own limiting beliefs, which are just verbal markers to a stress blockage, a stress injury. Especially with older players, who have had much experience and many, many more "battle scars" in this sense than the younger players, it is of the essence to become aware of these limiting beliefs and stress disturbances and to take them out as soon as possible. Indeed, it is this correspondent's assertion that the double action of stress relief on the one side, and the increased energy and love of the game on the other, is of extreme importance as players get older. Trying to play against stress reversals on pure will power is extremely exhausting and could well account for older players seeming to lack stamina, when in fact they are expending all their energies to keep going in spite of their many reversals they've acquired over the years. In conclusion: Stress reversals which show up in negative beliefs being expressed are a major "spanner in the works" at any time, but in a snooker especially, where a player needs to keep focus, energy levels up and concentration to produce these fine tuned body movements, they can really cause havoc. With stress reversals successfully relieved, all things work better, become easier, and the enjoyment comes back - which is the real requisite for not just playing snooker well, but to be in that magical zone where all flows beautifully and even the odd kick here or there is nothing at all to be afraid of.